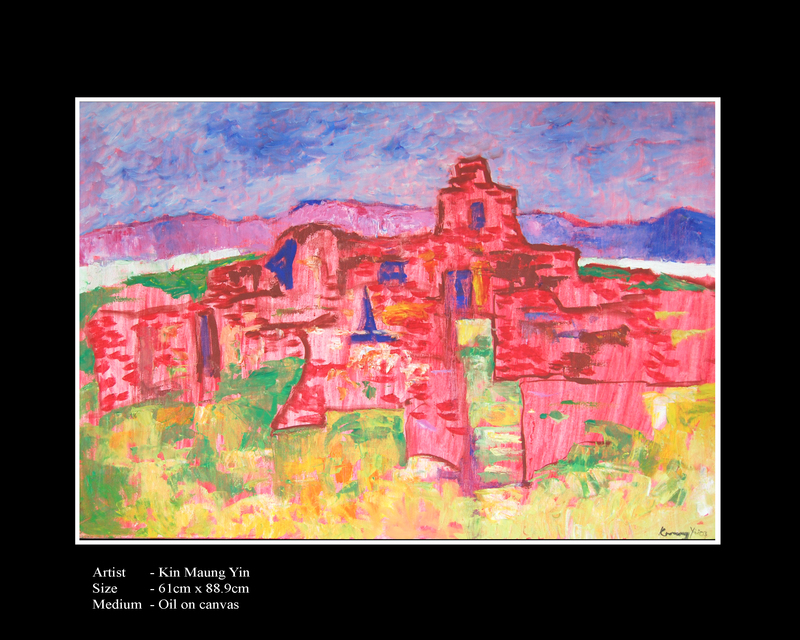 A new exhibit at Pansodan starts on 1 August, featuring the beloved artist U Kin Maung Yin (1938 – 2014), who is quoted here from Pan Magazine, 6.09, n4p28. 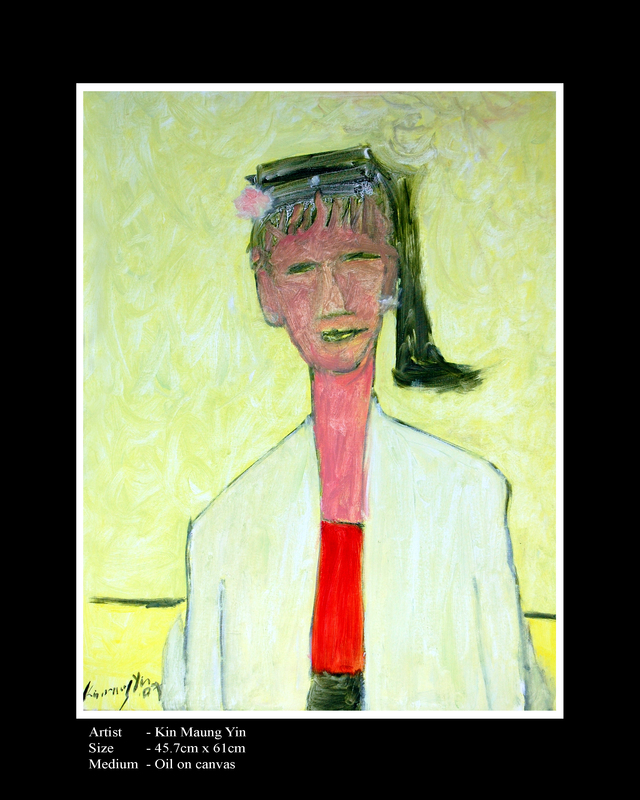 He was influenced early on by Abstract Expressionism and by his background as a professional architect. That structured background in engineering and architecture did nothing to tame the exuberance of his mind. His art is a product of the conflicting tendencies of his natural love of experimentation and expression, and trying to go to zero. He is well known for his lack of regard for things of this world, and total devotion to the creative process. He has no ambitions for ease and comfort, and no interest in conventions. In his home, he has been known to use paintings to patch holes. He used to clean his brushes on his front door…. and gradually turned it into a painting. 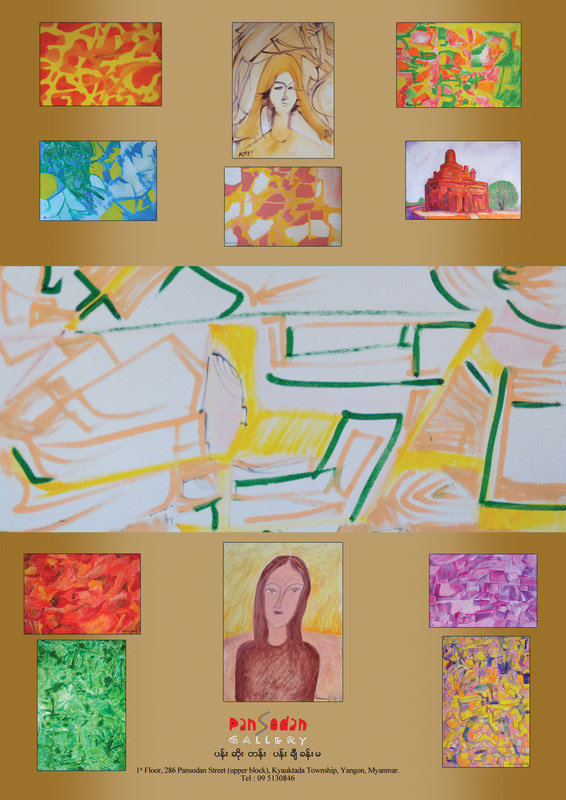 The door is now in the collection of well-known artist. 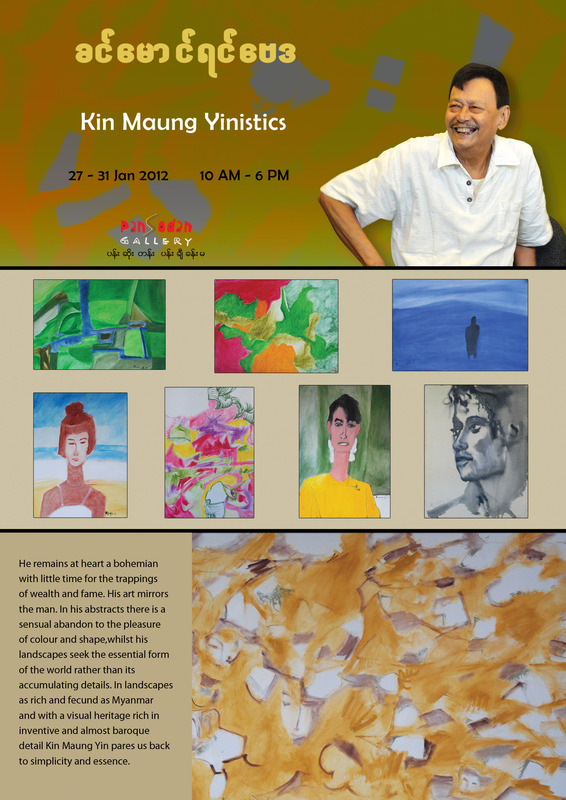 U Kin Maung Yin is still painting, and he will be at the gallery for a time. Don’t miss the chance to meet him! 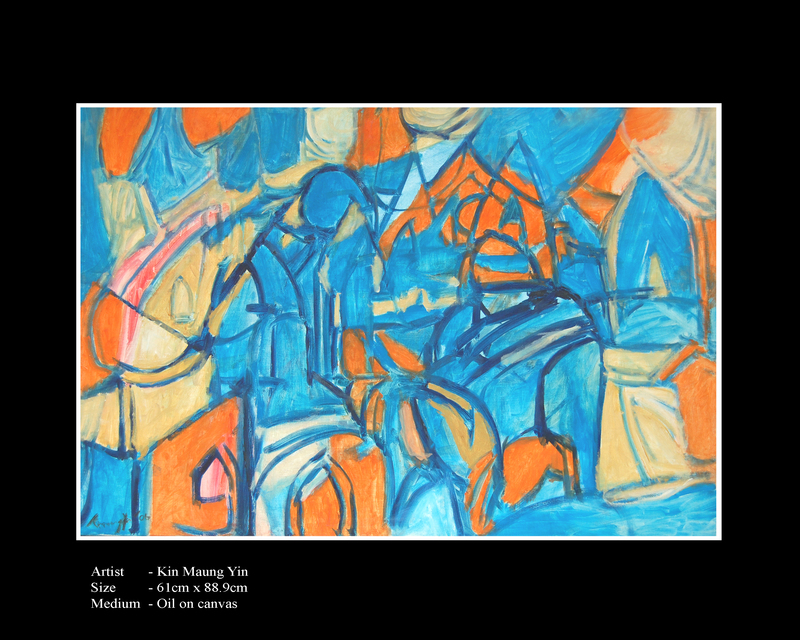 Update: U Kin Maung Yin’s exhibit in Yangon was successful as well — all paintings were sold, which makes us happy and sad at the same time. May he long continue to paint more extraordinary works. 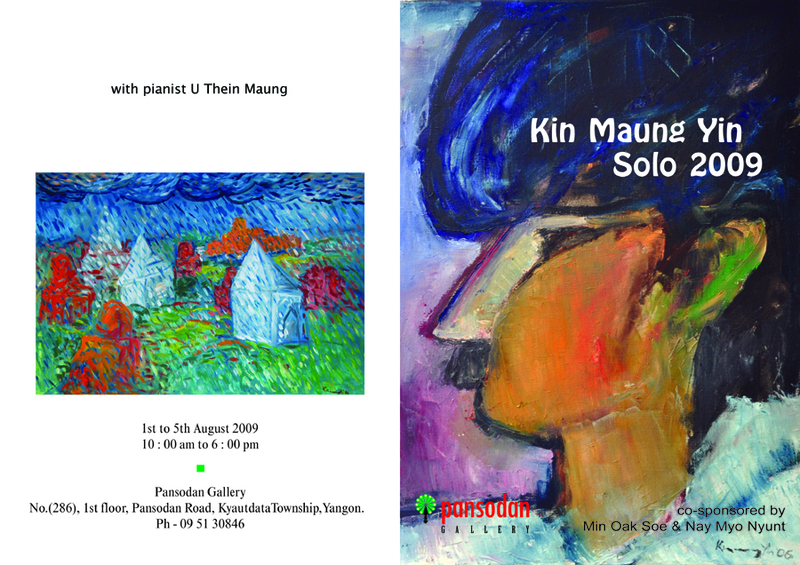 I am working on a website, on which there will be many photos of that exhibition — a memorable event, with U Kin Maung Yin enjoying the opening day, and U Thein Maung playing the piano, with U Maung Nyo Win painting his portrait as he played. See lots of his paintings here. 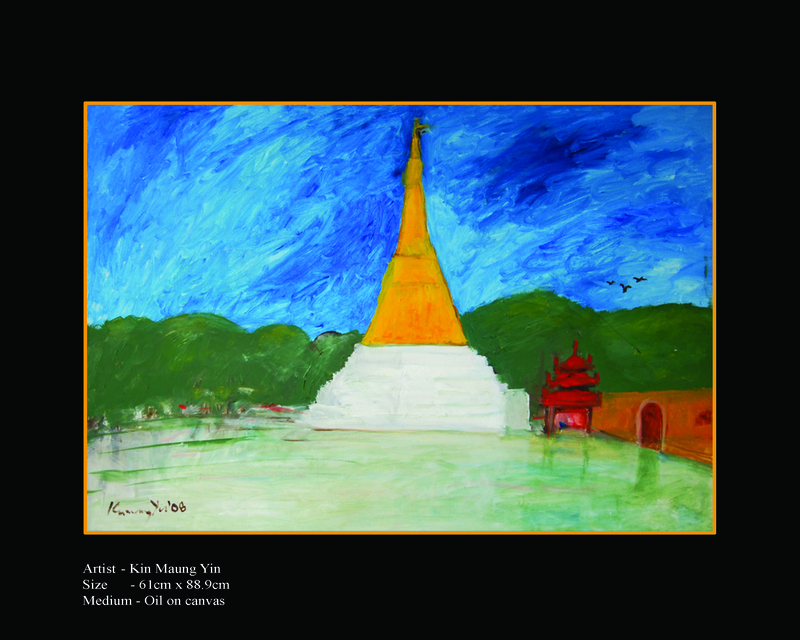 See a few more of his pagoda paintings online here. Read about him in a rather wildly styled essay here, and a calmer one in Burmese and English here. See plenty of photographs of the exhibit here. Join his facebook fans page here. An article written about him in Burmese is here.